This tent has 6 legs and uses concrete blocks or stakes to secure. Depending on weather conditions the blocks will either be 500lbs or 750lbs. Standard legs are 8'. There is an additional 20% charge for 10' legs. 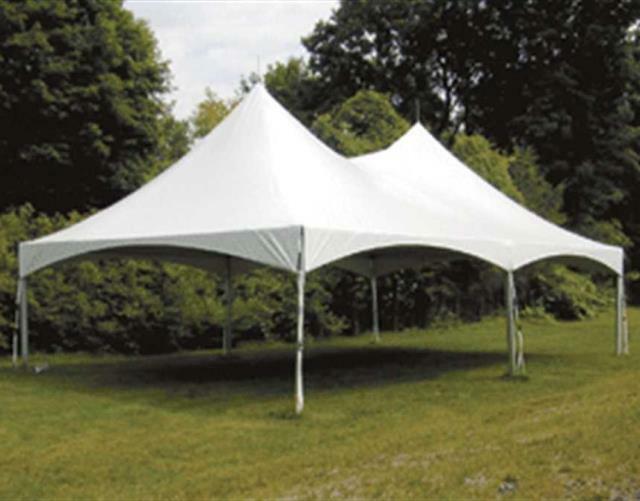 * Please call us with any questions about our tent party 20 foot x 40 foot rentals in Sacramento and Citrus Heights, serving Auburn, Placerville, Woodland, Davis, and Elk Grove in the Sacramento area.